Nestlé is a household name. Many of us wake up to a steaming hot cup of NESCAFÉ and end our day with a hankering for our favourite midnight snack – MAGGI Noodles. Even our mid-day breaks are punctuated by a KITKAT. It is no wonder then that some of the best and brightest minds of this country aspire and work towards building their careers at Nestlé – the world’s largest food & beverages company. They say that for the millennials of today, it is very important that the work they do has a substantial and quantifiable impact – on people’s lives, shareholder’s interests and organisation’s growth. And it’s no wonder then that almost 71% of Nestlé’s workforce is millennial which has found meaningful and fulfilling work here. What does all this mean for the average B-school student looking for an organisation to build his/her career at? And what is it like working at Nestlé? 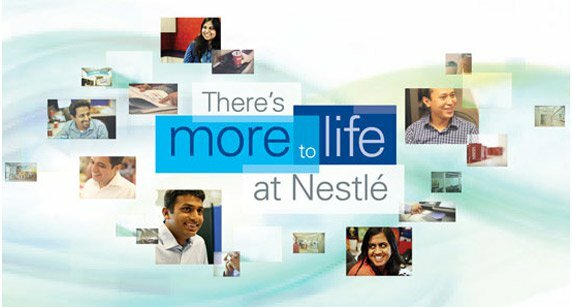 What skills, attitudes and approaches does Nestlé help build in a fresh B-school grad? These are some of the questions we will answer in this feature. 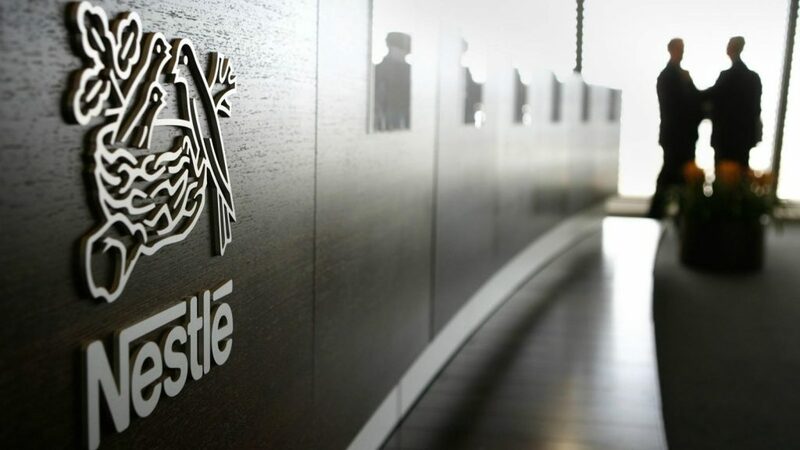 One of the key hiring channels in Nestlé is the Management Trainee program. The selection for the MT program takes place through summer placement, case study competitions and final campus placements. It is a gateway for the tier 1 B-school students across the country to be a part of the sprawling FMCG behemoth that is Nestlé. Nestlé conducts case study competitions like 4Ps (for Sales and Marketing), Ingenium (HR) and Plan-O-Chain (Supply Chain Management) at premiere B-schools across India. The winning and runners-up team members get a PPI from Nestlé. Post cracking the interview, these members become a part of the Management Trainee program. “That’s how I got through Nestlé,” quips Mugdha Kabra, IIM Indore alumna, who joined Nestlé as a Management Trainee in 2017, and is currently working as the Area Sales Manager at Nestlé. For Mugdha, the journey at Nestlé so far has been both challenging and rewarding at the same time. With no background in sales and a limited timeframe to learn new things about a huge company, she had to deal with the challenges in the best ways possible. “Language was also a bit of a test for me as I was from Delhi and was posted in Bengaluru for my stint. But this is what Nestlé teaches you right from the beginning- take all challenges head-on. It pushes you out of your comfort zone and tests your mantle,” recalls Mugdha. To put things in perspective, the Nestlé MT program is a 12-month long program that covers stints of varying durations based out of the corporate Head Office, Sales (Branch Office) and factories. All the MTs necessarily go through the stints in order to further hone their skills and understand the overall business better. Anmol Sharma, an Assistant Brand Manager for MAGGI and a SPJIMR alumnus, also had an eventful start to his journey as a Management Trainee at Nestlé. “Understanding the organizational process in a small time span during the MT program is what appears overwhelming for a fresh joinee. However, with the ready support system that the MT program offers, you become comfortable with the lingo and company specifics. After spending a considerable time you understand stakeholder alignment, which is the key to any successful business,” points out Anmol. Today, Anmol works on one of Nestlé’s biggest brands – MAGGI Noodles. MAGGI is not only exemplary in the size of the brand that it is, but also in the extent of innovations that the brand comes up with. Admired by many, MAGGI noodles came out even stronger post the crises. Association with such a brand is something that every brand manager aspires for. Agreeing with Mugdha, Anmol also feels that Nestlé, as an organization is built on strong values. It continually strives to develop products that offer healthier food choices to its consumers. Focusing on the kind of autonomy Nestlé provides, Mugdha took us through her experience working with the famous Nestlé brands MILO and the NESCAFÉ Cold Coffee tetra pack range during one of her stints in the first year of joining. “We were operating in a small team of 5-6 for this. The kind of autonomy I received for this project was enormous. I got an overview of the entire business model during my stint and I was surprised to see the kind of early ownership I got being just a newcomer at the company,” says Kabra. Along with autonomy, what the program offers you is a strong mentorship at every level. This is not a company that just hires a bunch of individuals and throws them into the deep end. Coaching and mentorship are hardcoded into the structure of the company. No question, suggestion, criticism or action goes unheeded by the senior members. The organization is committed to preparing the next line of top managers to continue the legacy of some excellent work over the years at the company, all over the world. One of the features that is unique for a company the size and age of Nestlé is, sheer agility. Like a sprightly up-and-comer, Nestlé continues to innovate and stay relevant for every new generation of consumers. So far, Nestlé has worked on 30 new product developments post the MAGGI crisis. Sample this – two new categories got added in the last one year with the launch of NESPLUS CEREALS (Breakfast cereal) and PURINA (pet care) – the latter being amongst the largest pet food brand globally. Very few large companies can boast of this kind of dynamism. “Also, the beauty of the MT program here is that it provides you with an opportunity to explore what you do best, be it marketing, sales, HR or supply chain. The program is so structured and the training so robust that it gives you the confidence to take up the roles according to your strengths,” says Mugdha while talking about the versatility this program offers. Once you have joined Nestlé, you get enough opportunity to build your career on your core strengths. The MT program at Nestlé is not only designed to impart functional skills to a B-school graduate but to groom them into being responsible leaders as well. Solid understanding of the business environment, functional aptitude, result orientedness, innovation, in-depth understanding of all system and processes, teamwork etc. are just some of the key competencies that you build on. There has been some serious effort, managerial drive and strategic thinking that has gone behind in staying at the top of your game in a market for more than a century. And therein lies Nestlé’s other lesser known achievement. Nestlé is a place where some of India’s best and brightest minds learn, implement and achieve. Yes, you get a regular salary. Training is required because every company has its own systems and college is more theoretical than practical.